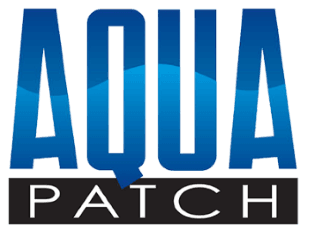 Repair Crews: AQUA PATCH is a big time saver for repair crews because it eliminates the need for costly trips back to the asphalt plant. AQUA PATCH doesn’t have the time constraints associated with hot-mix or warm-mix asphalt. Just keep it dry until you want to use it. Then simply add water, tamp it down, and it’s traffic ready in less than one hour. Seal Coat Crews: AQUA PATCH is a great solution for seal coat crews because it enables them to make quick repairs, and apply seal coat within just one hour. Now, when they encounter a fault with a surface, they don’t have make a judgement call as to whether or not they should seal coat over the problem area, or postpone the project and wait for a repair crew to fix it – they can fix it on the spot, and seal coat within the hour. They can be confident in their repair work knowing that AQUA PATCH is a permanent repair solution. Bags are a more cost-efficient alternative to buying asphalt from a plant. You don’t have to purchase more than you need (minimum tonnage requirements), and then deal with the leftovers by hauling them back to the plant for recycling. Facilities Maintenance: AQUA PATCH is ideal for schools, airports, hospitals, and other institutional facilities that need quick fixes and occasional repairs of concrete and asphalt on their grounds. Keeping a supply of bagged AQUA PATCH on hand can be a real money saver. You can avoid the cost and time delays associated with a one ton order minimum from the local asphalt plant. By repairing a fault sooner, rather than later, you also reduce your liability and improve safety conditions. Get that pothole fixed fast, and permanently, with AQUA PATCH. Just clean out the debris, pour in AQUA PATCH, add water, and tamp it down.